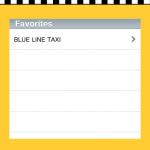 This is the iPhone version of the popular taxi listing, Take a Taxi. 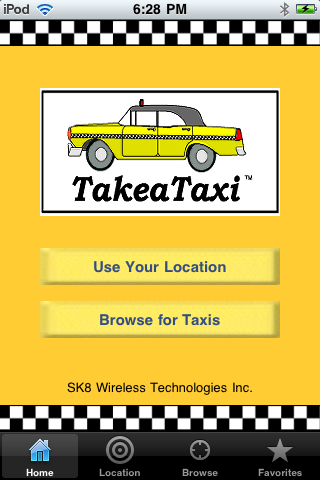 Take a Taxi was the first of its kind in North America and has been available on web-enabled phones for over 10 years. The service is now available as an application on iPhone and iTouch devices. 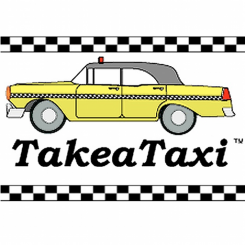 Take a Taxi is a searchable listing of taxi services. 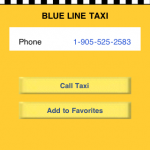 We offer useful information for organizing a way home after a night out or finding transportation when on business. 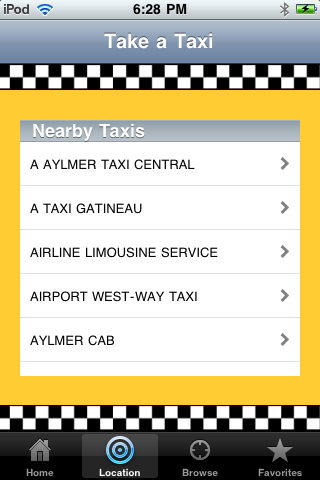 The taxi listings are sorted by city and province/state and offer a one-touch dialling feature. Whether in an unfamiliar city on business, or simply trying to organize a way home after a night out during the busy holiday season, Take a Taxi eliminates the need to remember the taxi company name – just browse by city and with one touch, connect to a chosen taxi service by phone. 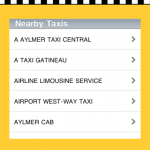 Alternatively, with the use of GPS or WiFi, you can use the location-based services to display a list of taxis nearby. 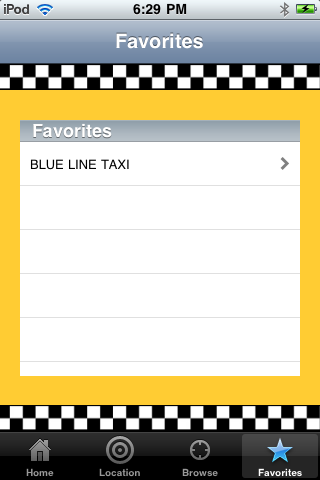 Take a Taxi also allows you to add any taxi to your favorites list, saving time when accessing these services the next time. -Current listings include United States, Canada, New Zealand, and Malaysia…more to come!